At Sebcon Contracting Services, we take great pride in the relationship that we have with our operatives, offering our clients full-service Temporary Employment Services and Project Staffing solutions. The people we place represent our company on a day-to-day basis, so we believe it is important to form strong, long-term relationships with everyone who finds work through us. 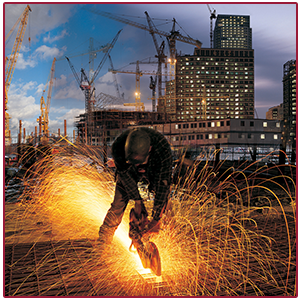 Sebcon makes use of Limited Duration Contracts (LDC) and we are registered with the Bargaining Council, MEIBC, SARS and the South African Construction Engineering Association, ensuring that we can offer potential workers a variety of suitable opportunities. We are always keen to hear from qualified tradespeople and labourers from anywhere in South Africa. If you're interested in finding a job in any of the disciplines above, submit your CV to register your skills on our database. 2014 Sebcon Contracting Services. All Rights Reserved.